FairLifts schedules Missouri transmission line construction solutions that keep industrial projects on track. 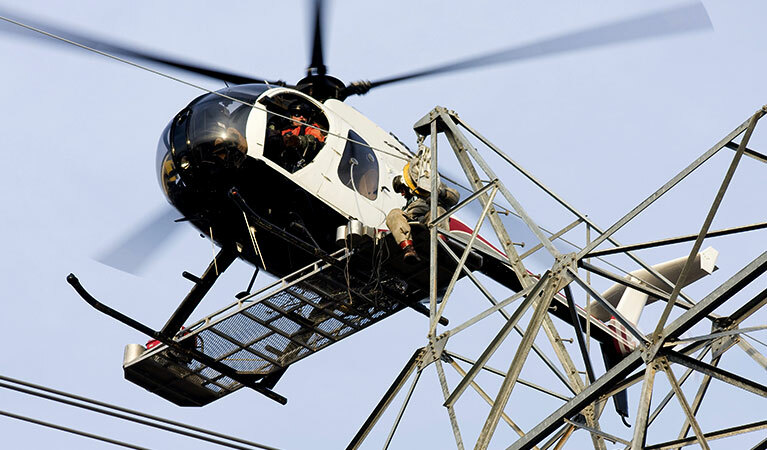 An expert network of helicopter operators provides timely and cost-effective transmission line construction solutions in remote and rugged areas of the state with limited environmental impact. Transmission line construction services include structure and pole placement, transport of vehicles, equipment, concrete and matting, structure framing, including changing cross-arms or davit arms and installing x-braces, knee braces and v-braces, hanging insulators and stringing blocks, pulling sock line, hard line, optical ground wire (OPGW) and shield wire, installing spacers, marker balls, bird discouragers and anti-galloping devices, and post-construction inspection. Other services include unclipping wire and stringing blocks, including tangent, angle and double dead-end structures, cutting out or covering shield wire sleeves and other shield wire repairs, clipping in conductors and overhead wires and removing stringing blocks, including tangent, angle and double dead-end structures, cutting out conductor sleeves and installing double socks and optical ground wire (OPGW). Missouri has approximately 22,000 MW of installed electricity generation capacity. Nearly 82% of Missouri's electricity is generated by coal and 10% percent is generated by the state's nuclear power plant, the Callaway Plant in Callaway County, northeast of Jefferson City. Five percent of energy is generated by natural gas, one percent is generated by hydroelectric sources, such as the dams for Truman Lake and Lake of the Ozarks, and the state has a small but growing amount of wind and solar power—wind capacity increased from 309 MW in 2009 to 459 MW in 2011, while photovoltaics have increased from 0.2 MW to 1.3 MW over the same period. As of 2016, Missouri's solar installations had reached 141 MW. Oil wells in Missouri produce 120,000 barrels of crude oil in fiscal 2012, however, there are no oil refineries in Missouri. 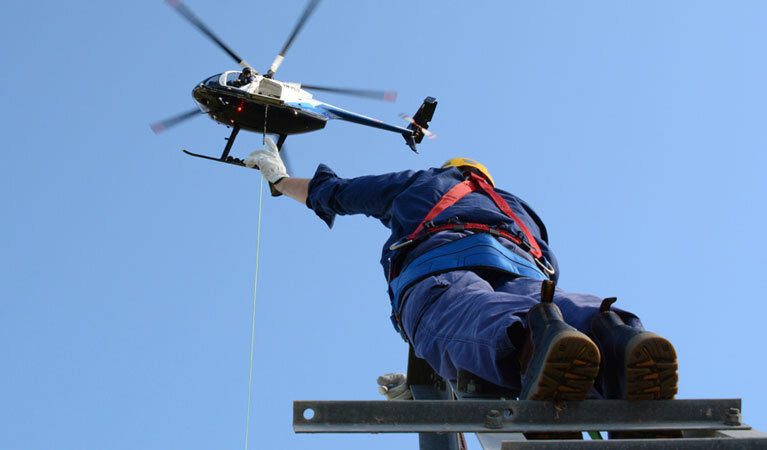 FairLifts, a global leader in arranging transmission line construction services, works with a network of skilled helicopter operators to provide superior transmission line construction solutions in Missouri. FairLifts also arranges additional construction services, such as work crew and equipment transport to remote sites, as well as heavy lifts for hardware and machinery. FairLifts works with heavy lift aircraft operators, which can each carry over 9,000 lbs, providing lift solutions for all types of transmission line construction operations. With maximum safety and cost-efficiency guarantees, FairLifts arranges sustainable services that include light to heavy lifts, and aerial crane services for the transportation and placement of heavy items. FairLifts arranges helicopter support for supply wire stringing and the placement of primary conductors onto the transmission line structures, including the installation of conductors, ground wire, insulators, stringing sheaves, rollers or travelers, vibration dampeners, weights, suspension and dead-end hardware assemblies for the full extension of the project. Helicopter operators can be coordinated to provide utility pole installation, enabling crews to access remote and rugged terrains with limited environmental impact. 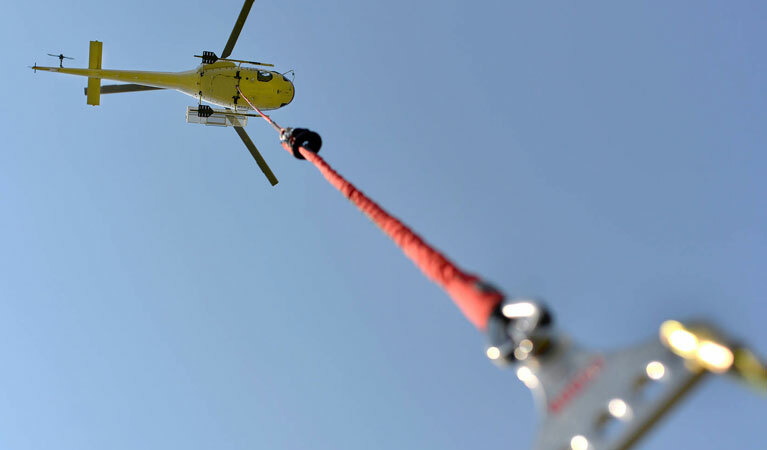 Helicopter lifts are also able to lift composite poles with greater strength/weight ratios than traditional wood poles, affording the necessary strength to install poles in rugged and remote areas in Missouri. 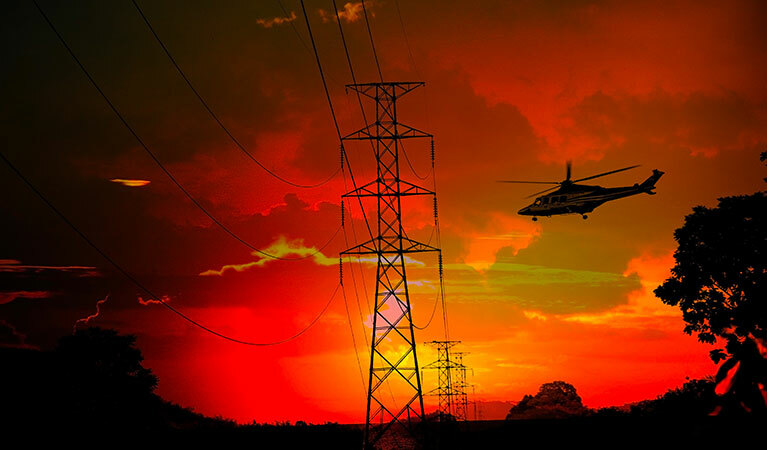 Via a network of helicopter operators to provide comprehensive ROW and site inspection of power transmission lines through infrared thermographic inspection, detecting transmission line anomalies. Additional inspection services include corona measurement with new generation technology to detect corona interference in high-voltage transmission lines. At FairLifts, we arrange professional transmission line construction services in Missouri. FairLifts’ knowledgeable team of customer service agents is available 24/7 to answer questions regarding Missouri transmission line construction services and to schedule solutions. A global network of helicopter operators guarantees safety, reliability, and cost-efficiency for all transmission line construction projects, guaranteeing timely and precise delivery of our quality services.